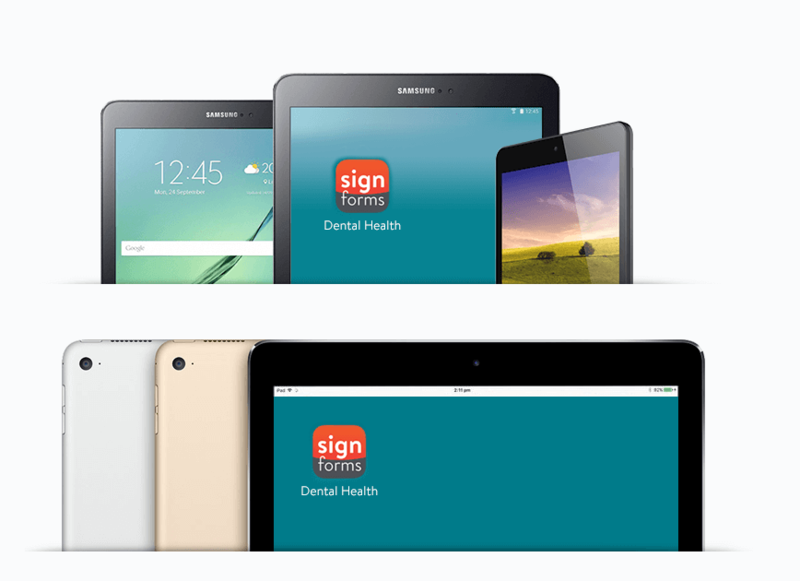 Deliver a higher standard of dental care by engaging your patients and collecting health information on mobile devices. 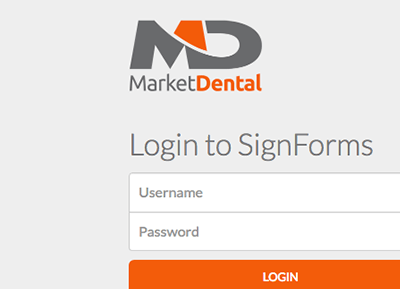 Collect electronic signatures on every form, from any device. 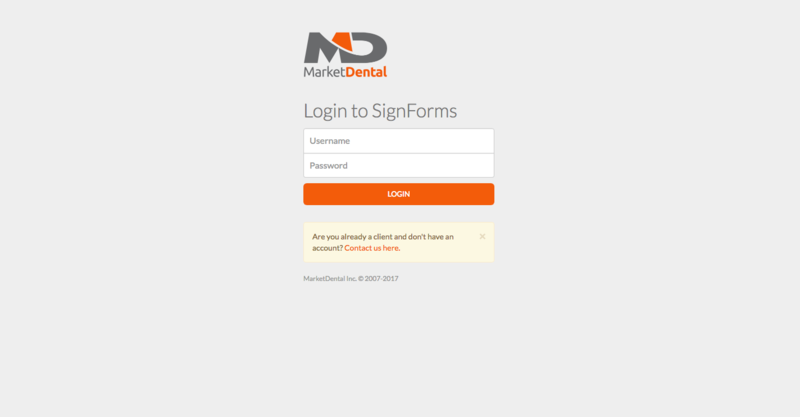 Improve the dental experience with a fully digital platform. Reach patients through their devices, making it faster and easier to maximize scheduling efficiencies. You focus on your patients instead of on your paperwork by simplifying the many processes that paper forms require. Say goodbye to clipboards! Patients want convenience from the comfort of their home and you can provide this easily! Data is never stored on any device and all information transferred between the patient and your website through the Internet is encrypted at the highest level of security, using modern encryption. 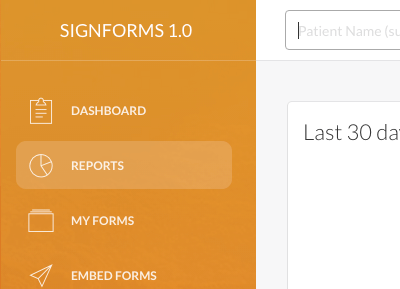 New patient forms can be also completed on the tablet in the waiting room. This saves time for staff while helping reduce transcribing errors and eliminating the need to clarify patient handwriting. Spend more time listening to your patients. Patients feel the difference. 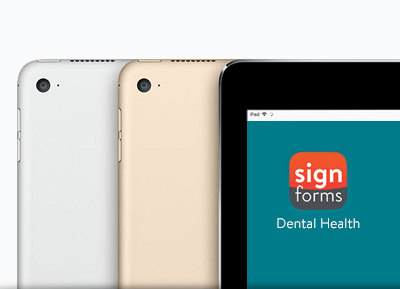 Collect signatures on every form, from any device. Like any other field, signatures will appear on the PDFs once are submitted (try out the signature here). Find out where your patients come from. 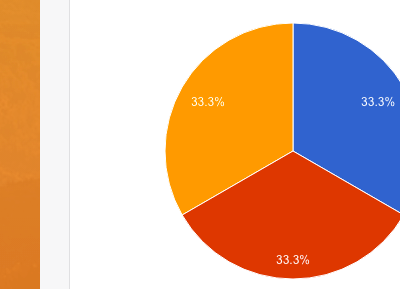 When you are pre-occupied with running a busy dental practice, it can be really difficult to slow down to evaluate the effectiveness of your marketing programs. 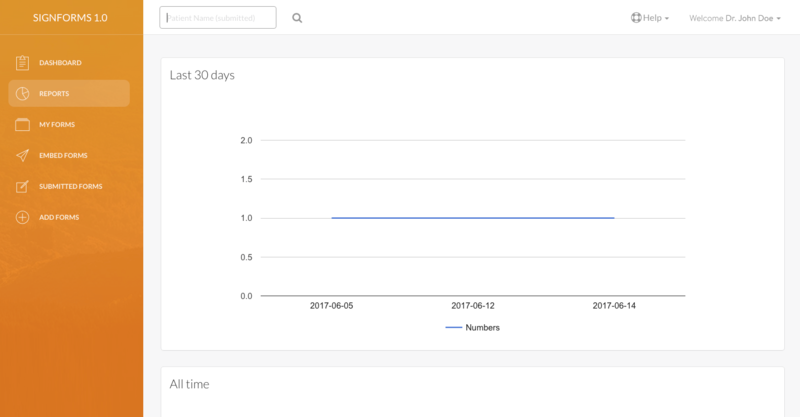 Get instant reports on marketing ROI. 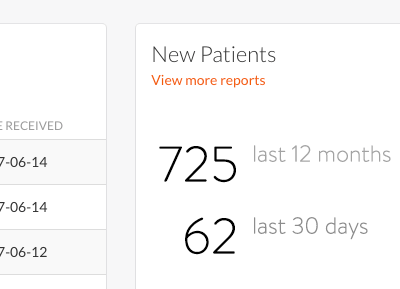 SignForm analyze where each patient comes from and track your new patient numbers. 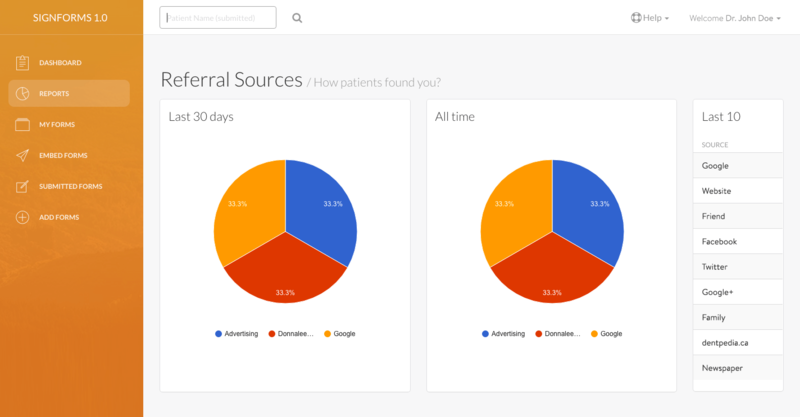 Our system provides real-time, web-based reporting on all your marketing, and can track virtually any patient lead source. 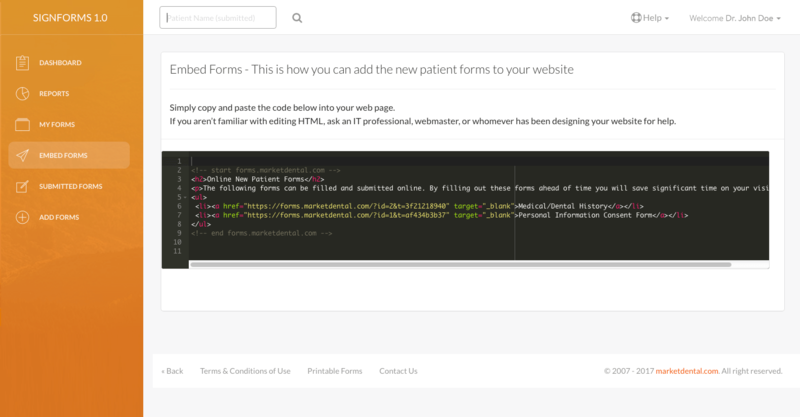 Our forms are 100% personalized for your practice (branded with your logo, colours and contact information) with fillable and savable feature. Forms can either be downloaded directly from your website or emailed prior to the appointment. This is convenient for patients that prefer typing instead of writing and it allows the dentist and staff to read the content easier. 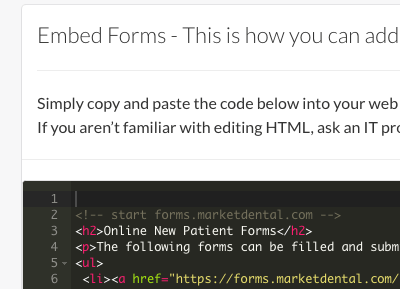 Instead of waiting for your new patients to fill out the forms in the waiting room, why don't you offer them this options? Patients will no doubt appreciate the convenience and leisurely filling out the forms at home, where they have access to necessary information. Do you have your own forms? No worries! 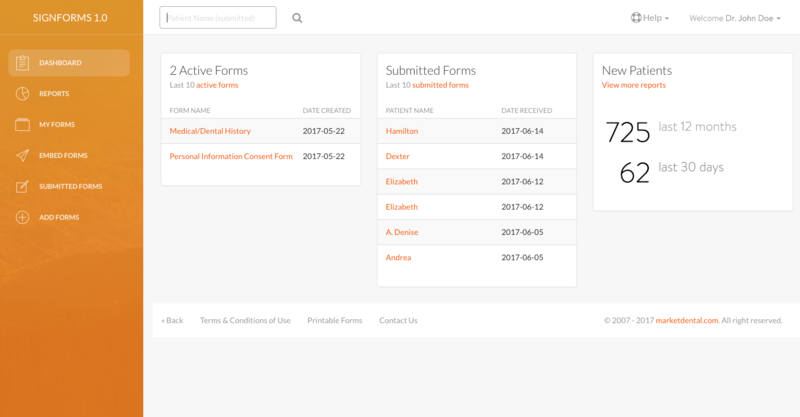 We'll be happy to build up-to-date technology forms for you, based on your existing paper forms. Email us your forms and we'll be delighted to send you a quote.